Do our sporting heroes deserve us? | Make Time For Sports. Do our sporting heroes deserve us? A nation gets the politicians it deserves. By the same token, do fans get the sports stars they deserve? Kumar Sangakarra instructed his young teammate and bowler Suraj Randiv to ensure that Sehwag be denied the single he needed to complete his century. Sangakarra was seen to have deliberately allowed four byes past earlier in Randiv’s over ensuring the scores were tied with Sehwag still stuck on ninety-nine. The youthful Randiv bowls a blatant no ball to finish the match. His interpretation of his skipper’s exhortation was translated into controversial action. The transgression over the line was clear-cut; there was no shadow for doubt. It could not have been overlooked by the hapless umpire. The shameful act has been debated by cricketing pundits all over the world; more so in the Sri Lankan and Indian media. Can we say that winning at all costs has now become the mantra of the hour? This was not about winning either. It was the petulant act of a spoilt child when denied a lollipop. It may seem the game is unfair when opposing captains are confronted with a rampaging Sehwag. It seems unjust that someone should have so much talent; more inequitable that he is on the other side of the fence. Let’s remind Sangakarra: Life is unfair and so are cricketing Gods. Randiv can apologize and Sangakarra may seek the shield of plausible deniability. What can Sangakarra rebut when his transgression has been broadcast to the viewing public? The Sri Lankan board has ordered an enquiry into the unsavory episode. A ban for two-three matches may very well be on the cards for the Lankan captain. Saurav Ganguly claims that this is not the first instance of such a folly by the Sri Lankans. He was denied a century as well on an earlier tour by similar means. Lest we obsess on Sangakarra and his moment of madness, let us remind ourselves that our sporting heroes are but mirrors held up to us. They come from similar backgrounds as us. Sport is no longer the domain of royalty or nobility; it is not for amateurs alone from privileged backgrounds. Sports is now a vehicle that can propel a talented someone from obscurity into the starlight. Instant riches and fame are very much on the anvil. But the elevator to success has no stops on the way up to educate our heroes on the noble ideals behind the game that has become more than their bread and butter. Fair play and ethics are just notions to them – somebody else’s notions. Getting ahead is the name of the game. 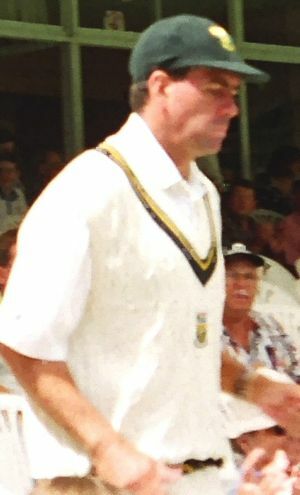 The late Hansie Cronje and his embroilment in a match-fixing scandal is well-documented. 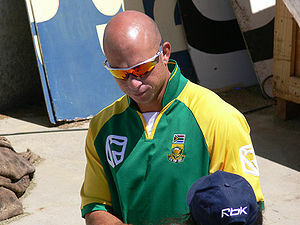 Does anyone recall that this episode almost ended Herschelle Gibbs’ career as well? Gibbs was suspended for six months; all because he was a young nobody and could not deny his captain. Can not Suraj Randiv plead a similar defense? Greg Chappell ordered his brother Trevor Chappell to bowl a underarm delivery to deny New Zealand a victory. The deed was legal then but contravened the spirit of the game. The match became an international incident; Robert Muldoon, the then New Zealand PM remarked “it was an act of true cowardice and I consider it appropriate that the Australian team were wearing yellow". Malcolm Fraser, the Aussie premier, termed the act "contrary to the traditions of the game". Following orders blindly is for the armed forces. Are you in the army, lads? Sports is but a metaphor for war. And all is fair in love and war. Can this argument win the case for the many infractions of our sports brats? And that’s what they are: Brats. Luis Suarez became a national hero when he foiled the Ghanaian forward, Gyan, with his ‘bare’ hands. It is not as though Indian cricketers are above it all. Harbhajan Singh calling Symonds a ‘monkey’ was glossed over by the Indian media. And then there was that other incident with Harbhajan roundly slapping a celebrating Sreesanth. The kangaroos would have us believe that sledging is part and parcel of the game. They play hard on the field and are easy-going off it. Teams from the sub-continent just don’t get it. It is a cultural divide that cannot be bridged. If so, then why is it that it was Graeme Smith who lambasted the Australians for their unsporting behavior and criticized their conduct on the field? There was no cultural bridge to be crossed there, was there? hen sporting heroes have feet and arms of clay, is it time we find our heroes elsewhere? If not in celluloid,if not in the sphere of business, then where? Queries not easily answered. The solution may lie with the unsung, everyday heroes – unsought everywhere. Addendum: The Sri Lankan cricket board informs us that the voice caught on tape exhorting Randiv to bowl a no ball is not Sangakarra’s but Dilshan’s. « The Indian cricket team: Pace bowling riches?